We receive many questions at our conferences and events. One of my favorites is “What’s a Ligonier?” That one is fairly easy to answer, and it’s my joy to recount how God has used Dr. R.C. Sproul and this ministry for more than forty-seven years. The short answer is that the ministry began as a study center near a small town called Ligonier in western Pennsylvania. 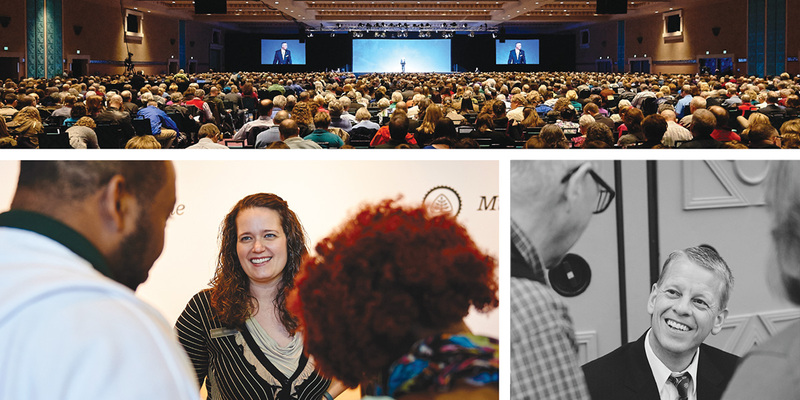 Dr. Sproul was born and raised in the Pittsburgh area, so it was natural for him to begin his public ministry there. Focus groups or marketing consultants surely did not pick “Ligonier” as the name for a Christian discipleship organization with a global sphere of service. No one can accuse us of being seeker sensitive when it comes to picking a name for this ministry. A longer answer to “What’s a Ligonier?” comes when we look back to Dr. Sproul’s purpose when the ministry began as the Ligonier Valley Study Center in 1971. Remember that the zeitgeist of the late 1960s had popularized rampant relativism even as social upheaval brought massive conflict, in effect accelerating the secularization of culture and liberalism in the church. Thus, Ligonier’s study center was born as a place to equip Christians to be articulate and effective in their defense of classical Christianity in obedience to the Great Commission. For thirteen years, hundreds of students came to live and learn among the Sprouls and other teachers. It was there that the messages of The Holiness of God series were first delivered, Dr. Sproul’s first book was written, and a newsletter called Tabletalk was born. I’d call that Ligonier 1.0, because it quickly became apparent that the Lord had more in mind for the teaching fellowship of Dr. Sproul. As he taught, new forms of media and communication were rapidly developing. While the ministry’s use of radio was still several years away, the rise of portable technologies such as audio cassettes and VHS presented the ministry with a whole new audience beyond the confines of the study center. Students studied resources delivered by the mail, and the growth was explosive. Churches began using teaching series from Ligonier in their Christian education programs. 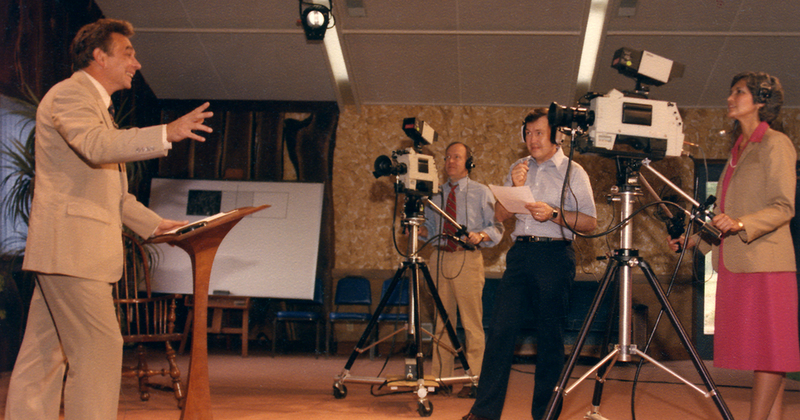 The distance learning aspect of Ligonier quickly eclipsed the small study center effort, so in the early 1980s Ligonier relocated to Orlando, Fla., accommodating an expansion of the ministry. Dr. Sproul continued to write and to pour his academic life into students through service at the seminary level. In 1985, The Holiness of God was published, followed by Chosen by God in 1986. In 1988, Ligonier saw its first national Reformed theology conference. And, by God’s grace, the pace of growth kept going throughout the 1990s into the present. In 1994, we began our international radio broadcast, Renewing Your Mind. In 1995, the Reformation Study Bible was first published, originally as the New Geneva Study Bible. Reformation Trust Publishing began in 2006 to maintain our focus to serve learners with trustworthy Christian books from contemporary and classic authors. Over the years, we continued to record new teaching series covering five categories: biblical studies, theology, church history, worldview and culture, and Christian living. In 2011, we began to make many of these series available as interactive video courses on Ligonier Connect. Also in 2011, we returned to our study-center roots by establishing Reformation Bible College on a new campus in Sanford, Florida. 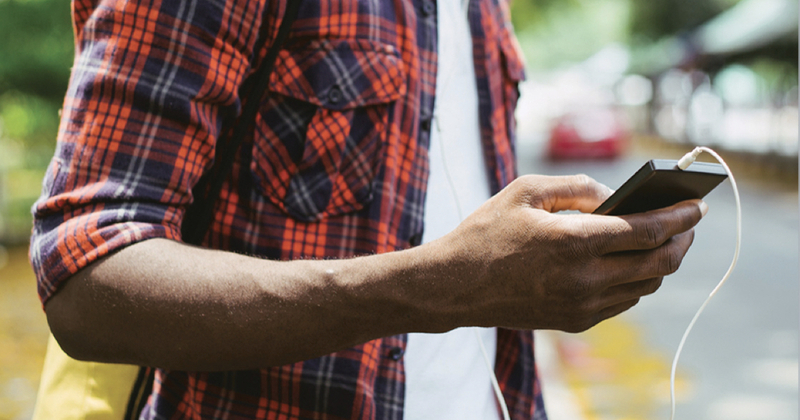 And in 2012, we launched RefNet, which streams trustworthy biblical preaching and teaching, Scripture reading, news updates, audiobooks, music, and more twenty-four hours a day. Much of our activity today focuses on strengthening the outreach of our core teaching ministries and harnessing new communication technology. The whole world needs the whole counsel of God, and therefore our vision encompasses a global context with informed strategic service to the church in different languages to diverse people groups. With God’s blessing, our worldwide outreach continues to expand and bear much fruit with unique outreaches serving Christians in South America, Africa, Europe, and Asia. We are thankful that millions of people are reached every year, but with seven billion souls on this planet, there is a lot of work to do. In 2018, we are hosting more conferences and events, including our first regional conference in the United Kingdom, than in any other single year of our history. And there’s more to come in 2019. No matter where you are in the world, we want to be there with answers to biblical and theological questions, helping as many people as possible to understand God and His holiness. To that end, we also launched Ask Ligonier, our online theological chat service. You can ask your questions in real time and connect with a well-trained team member placed in multiple time zones around the world so that we can serve twenty-four hours a day, six days a week. Our core discipleship resources are more accessible than ever before. We’re now reaching millions of people every week with teaching like the Renewing Your Mind podcast and radio broadcast. This March, we expanded Renewing Your Mind’s reach by launching a Spanish-language edition, Renovando Tu Mente. Many also tune in to 5 Minutes in Church History and our newest podcast, Open Book. Tabletalk magazine now has an online home, and the print edition reaches approximately 250,000 readers in seventy-eight countries each month. The Reformation Study Bible saw a substantial revision in 2015, and last year we released the Condensed Edition for Bible study on the go. And through our translation projects and military and prison chaplain outreaches, we’re making sure these resources reach the people who need them most. Last year, we began an effort to send tens of thousands of Reformation Study Bibles to church leaders and seminary students in ten African countries. Ligonier stands firm for the truth of God’s Word, but we are not standing still. To steward the truth and ensure that we continue teaching the historic Christian faith to as many people as possible, Dr. Sproul welcomed Teaching Fellows to the ministry. As we move forward, our Teaching Fellows help advise the ministry, inform our future outreach, and produce new discipleship resources to equip growing Christians. And in addition to our Teaching Fellows, we are working with many more pastors and scholars to produce new books and teaching series and expand our translation efforts. We are grateful for this next generation of gifted teachers. Just as in the early days at the Ligonier Valley Study Center, we are continuing to pour into tomorrow’s leaders at Reformation Bible College. The college now has an Accelerated Degree Program, helping students finish seminary one year sooner. And every day, we eagerly watch as our new Student Learning Center is being built brick by brick, enabling us to train even more students for years to come. I’ve written elsewhere on what it means for us to continue as a ministry without our beloved founder, R.C. We give thanks to God for blessing our outreach in this transitional year and are encouraged that faithful Ministry Partners support the ongoing work of the ministry. R.C. was right when he told us, “God’s people are starved for truth. There is so much work still to be done.” So we are not slowing down. 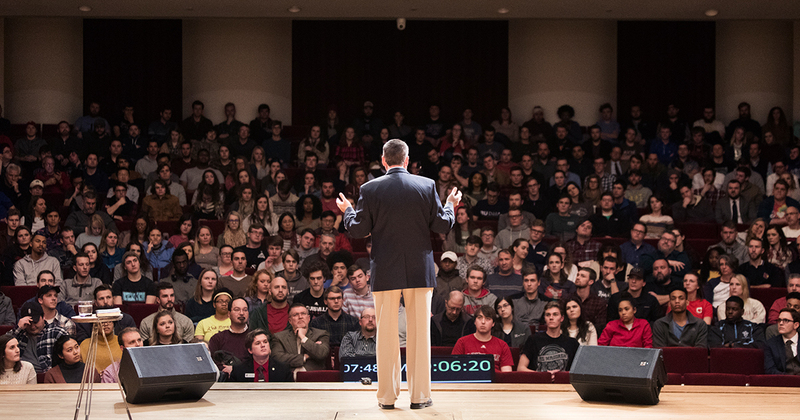 We exist to proclaim, teach, and defend the holiness of God to as many people as possible. God’s holiness is essential to understanding His character. When we rightly know the character of our Creator, we know who we are as creatures. Look at Isaiah 6. The Lord reveals Himself to Isaiah, and for the first time in his life Isaiah knows who Isaiah is. To what end? So that Isaiah would then proclaim the great and awesome name of God Most High to his generation. We are not redeemed so that we hoard the truth and bury our treasure. Rather, we are saved to spend—to spend our lives for the sake of God and His righteous purposes in this world. Once we bow the knee to the Lord Jesus Christ, repent, and flee to Him as our only righteousness, we are propelled back into the world, back to proclaim His holiness to as many people as possible. Our greatest encouragement is when we meet people our Lord has reached with His truth and hear how it is being put into practice in their lives. Our vision is to propagate biblical Christianity throughout the world and see it flourish in the church. We believe that the best and most biblical expression of Christianity is found in the emphases coming out of the Protestant Reformation. The world-shaping impact of Reformed theology includes a desire to see an awakening but goes far beyond it. We want to see hearts and wills conquered to such an extent that Christians are equipped to effect change in every sphere in which God places them—in the home, in the church, and in the culture. This is why the mission of Ligonier endures: because just as the fundamental problem of the sinfulness of humanity endures, God’s Word endures, ever relevant, ever piercing to the root of our deepest need. Our prayer is that Ligonier, through our many outreaches, would be used by the Holy Spirit to equip you and generations to come to know the God of the Bible and, by His grace, change the world.